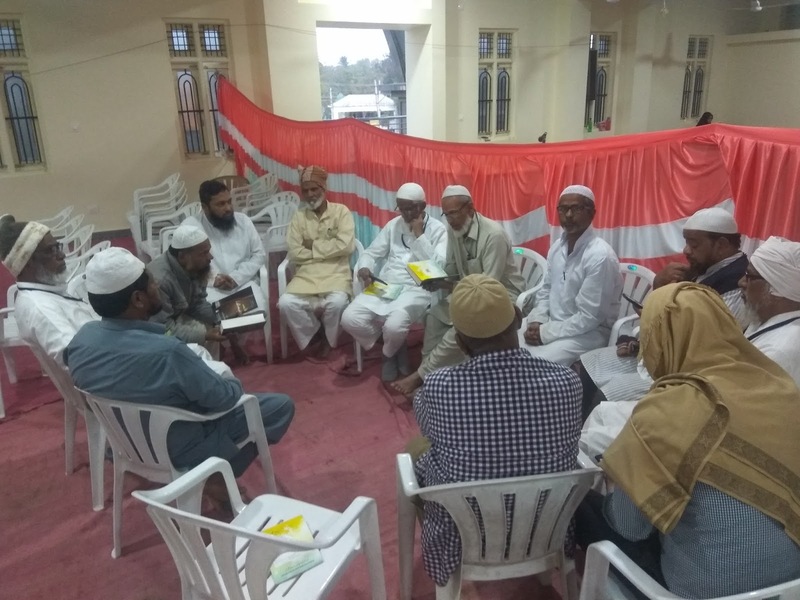 It is the duty of a humble worker of the Islamic movement to have stringent analyses of his abilities, his thoughts, his interests, his attachment with the purpose of life, and struggle to mould his personality. 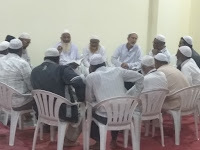 He should always pray the almighty for steadfastness in his beliefs and to improvement on his ideal characters. 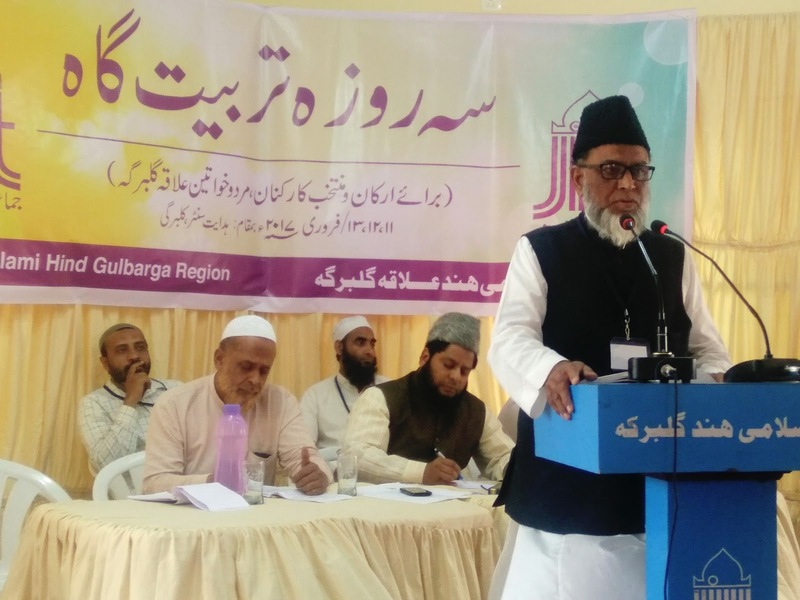 These were the words expressed by Moulana Waheeduddin Khan Umari Madani, Secretary Jamaat e Islami Hind, Karnataka while delivering his concluding address before the conclusion of 3 day cadre convention of Gulbarga Region on Monday the 13th February 2017. 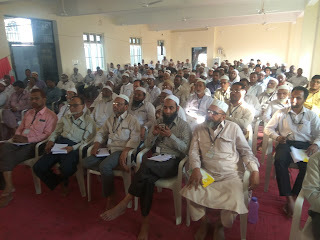 The cadre convention for the Members and selected workers of the region comprising of Gulbarga, Bidar and Yadgir was organized Jamaat e Islami Hind Karnataka Zone at Hidayath Center Gulbarga from 11th to 13th February 2017. 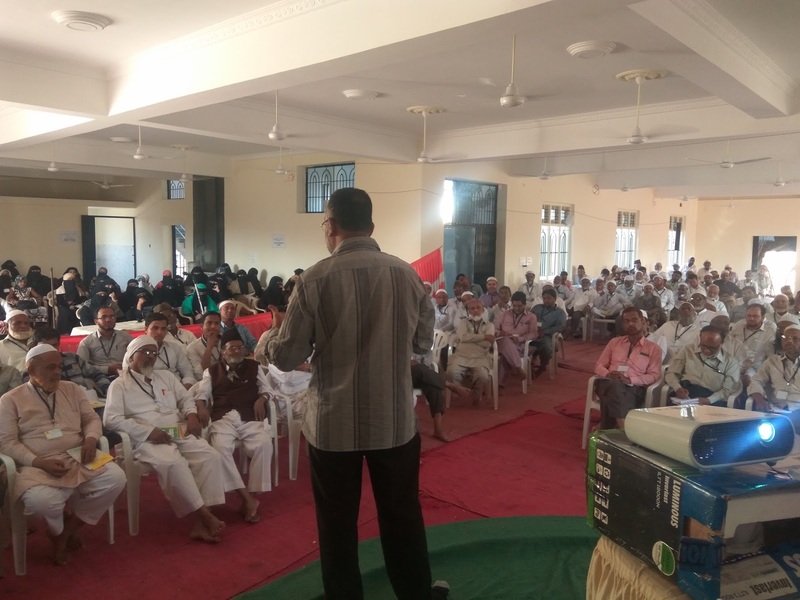 This was the fifth and last such cadre convention in the state. Continuing his address he said, one knows himself better than anybody else. 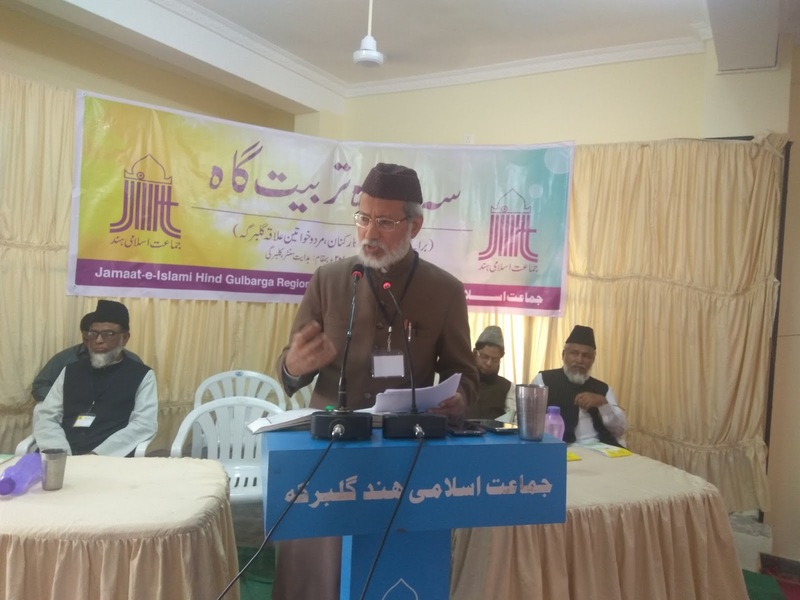 Therefore we should always pray Allah SWT to imbibe humility and protect us from lethargy. He called upon the cadre to do anything to survive but you should live for the cause of Allah and for the establishment of his Deen. To undertake this task we should not be dependent on our capabilities and resources but have faith on Allah SWT. 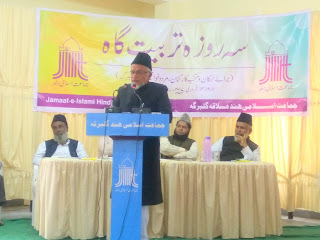 Whenever we are short of capabilities and resources, such short comings will only be fulfilled by the help of Allah swt. 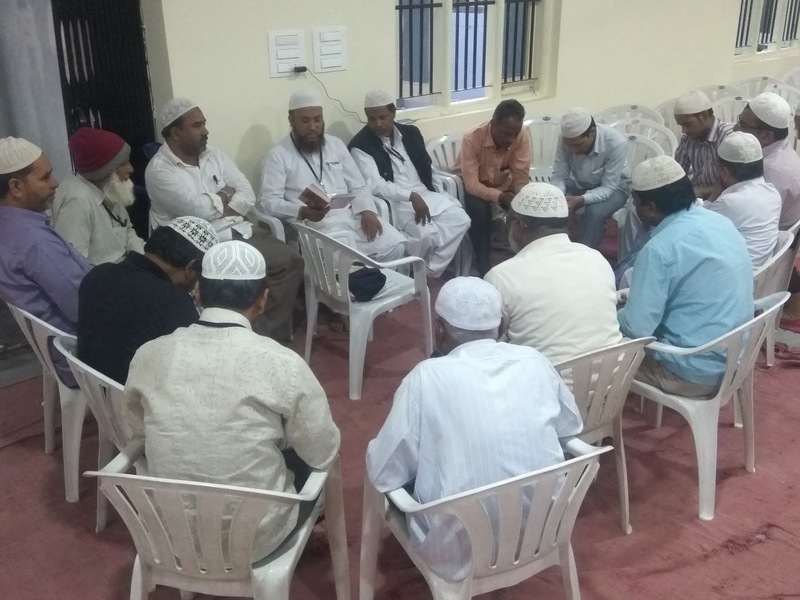 He said, we should not be moved or carried away by the prevailing volatile situations; instead we should have firm belief in the wisdom of Allah swt and never get disappointed. 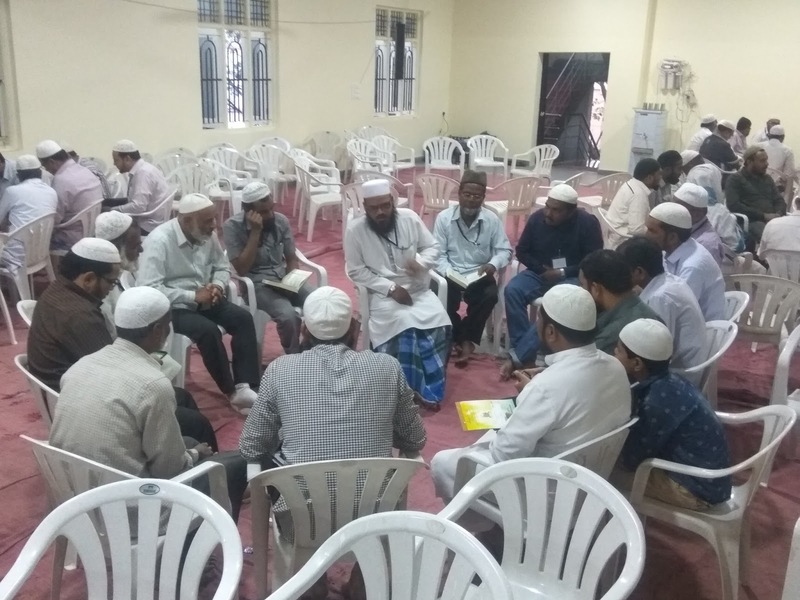 He called upon the cadre to lead a life of consciousness, should be free from the worldly attachments, and love for positions, vanity, and selfishness. 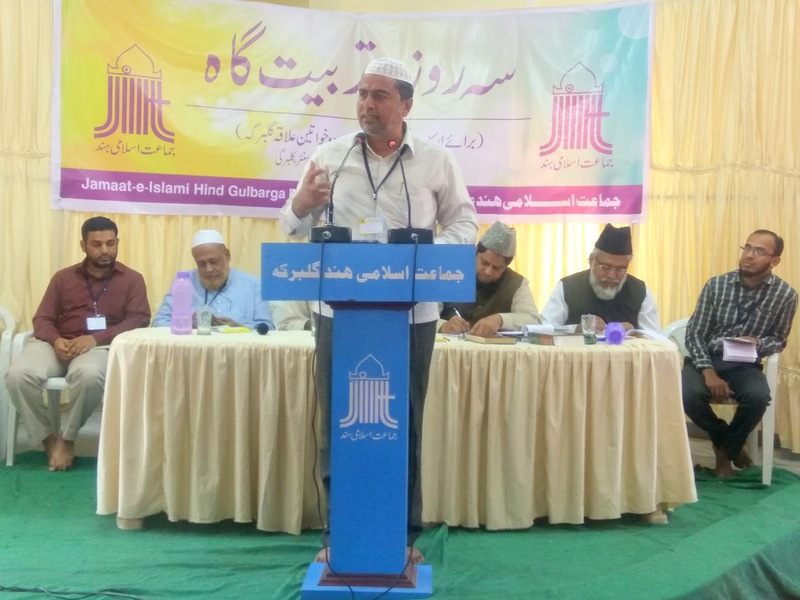 The 3 day convention was started on Saturday the 11th February 2017 with Quranic Discourse by Dr Mohammed Muazzam Ali, Member Local Advisory Council, JIH Gulbarga. 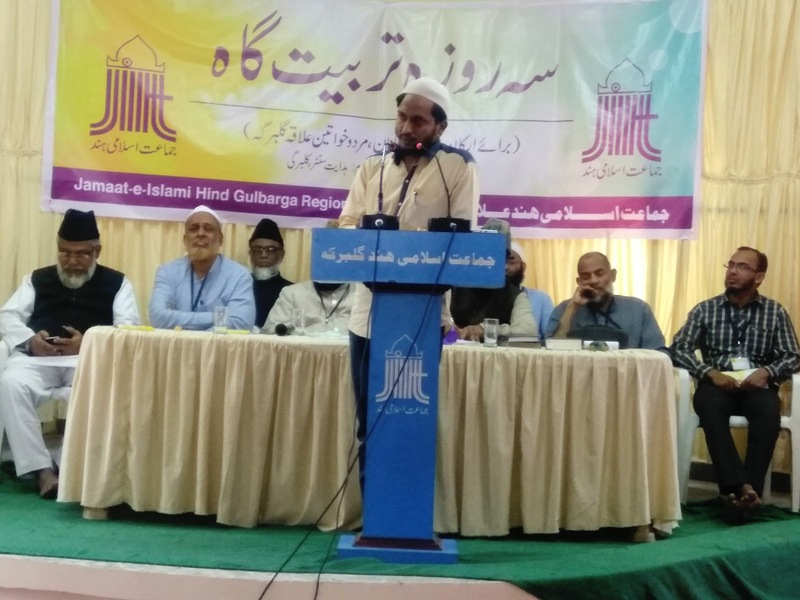 Delivering the lesson from Chapter At-Touba verse 20 to 24, he enlightened the audience with the characters of Workers of Islamic Movement as prescribed by the Almighty in these verses. In his Inaugural address Moulana Waheeduddin Khan explained the objective of the cadre convention. 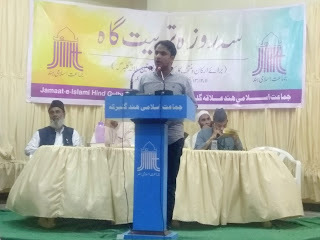 While delivering lecture on “Guiding principles of Collective Life” Jb Mulla Liyaqat Ahmed, Member State Advisory Council JIH Karnataka highlighted the importance of Discipline and orderliness in an organization and the disadvantages and the harm they cause to it if not followed in word and spirit. 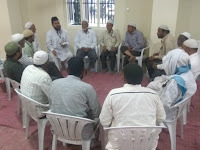 Moulana Waheeduddin Khan Umari Madani, Secretary Jamaat e Islami Hind, Karnataka while conducting an open session on the topic “Purpose of Life”, he had an interaction with the participants on importance of purpose in life, purpose as evolved by human beings, prevailing and adopted objectives of life in the prevailing world, which include both materialistic and spiritual aspects, and the purpose as ordained by Islam. 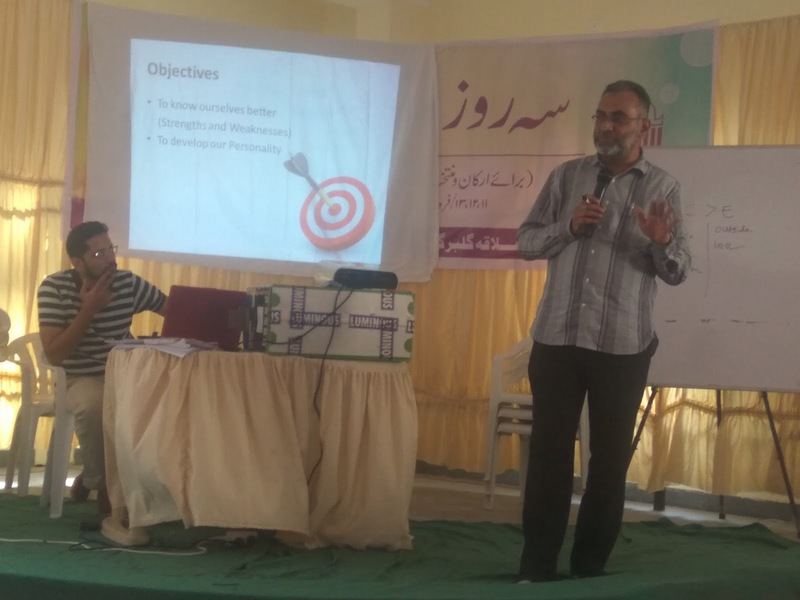 In the afternoon session a work shop on “Personality Development” was conducted by Jb S. Ameen ul Hassan, Member Central Advisory Council, JIH. During his two hour long interactive session he presented different models of personality and analyzed the personalities of the participants through different questionnaires. 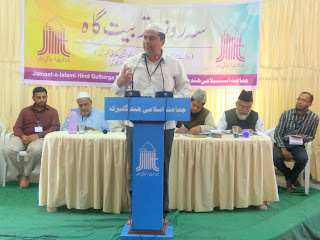 He explained the attributes of a good personality. 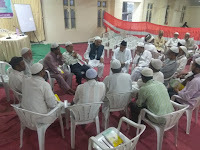 In the evening session Moulana Waheeduddin Khan Umari Madani, introduced the Science of Hadees and Islamic Jurisprudence (Islami Fiqa) and the art of compilation and evolution of Hadees knowledge and fiqa. 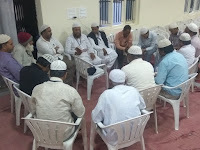 On the second day he explained the Juristic decrees relating to Purification, Istenja, ablution, rubbing of hand gloves and socks, bathing, procedure for joining Namaz when came late, etc. 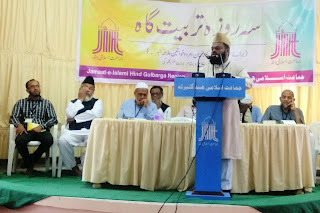 Dr Mohammed Habbe ur Rahman, Gulbarga spoke on the life of Moulana Moudoodi when the Islamic Movement was in primitive satge. 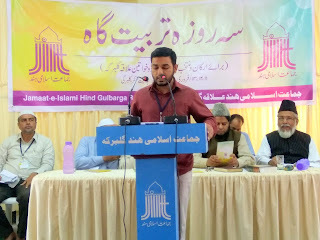 Jb Syed Abdul Haseeb Hubballi, Member State Advisory Council JIH Karnataka addressed on “Social Service and exemplary contribution of people associated with Islamic movement”. 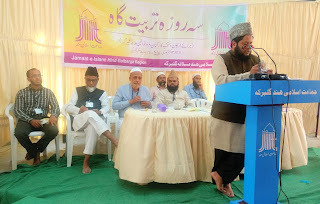 Jb Mulla Liyaqat Ahmed, Member State Advisory Council JIH Karnataka spoke on “fatal dangers on the righteous path”. 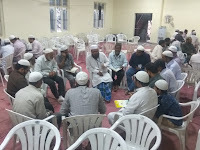 In the afternoon session practicing Quranic Discourse program was organized. 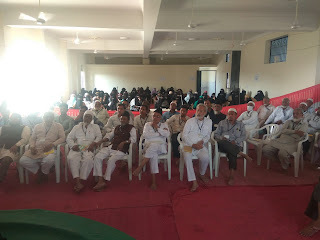 Mrs Umme Habeeba Hyumnabad(Al-Nisa:34-35) participated. Moulana Waheeduddin Khan Umari Madani presided over the session and gave valuable comments and guidelines for effective Quranic discourse. In the last session of the day, Jb Syed Abdul Haseeb, Hubballi, spoke on “New dimensions for Islamic movements and their methods to penetrate through them for an effective change in the society”. 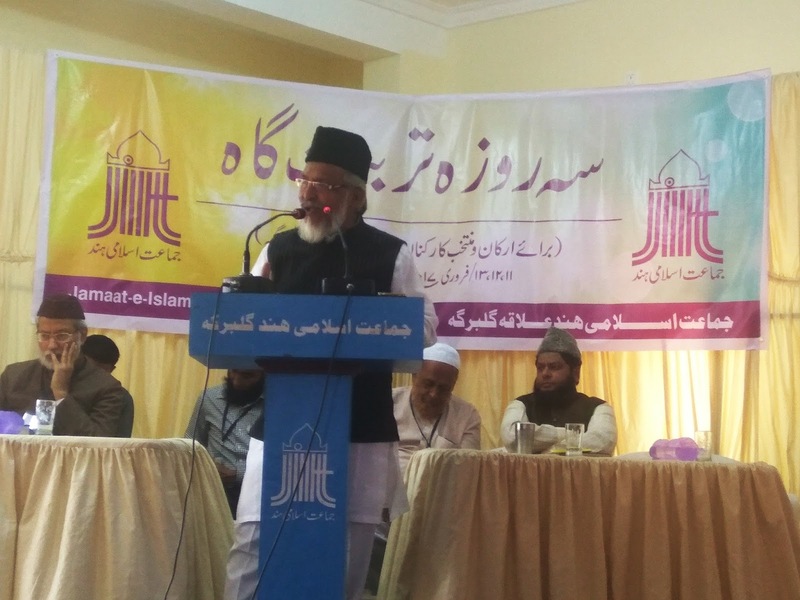 On the third day of the convention was started with Hadees Discourse. Jb Altaf Amjad Basavaklyan presented Hadees discourse on “Springs of Heaven” while Mrs Abida bi Gulbarga on “Horrors of Hell”. Jb Mohammed Yousuf Kanni, Secretary JIH Karnataka spread light on the advances in the spread of Islam right from the period of Prophet Muhammad pbuh and how it reached India. Its contribution in the development of the country, Muslims rile in independent struggle. The need of securing and uplifting the Umma from the present suppressive state. 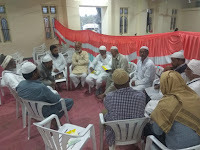 A Session of Book Review was arranged. Jb Mohammed Azmatullah Khan from Gulbarga reviewed the book “Apni Islah Aap” by Moulana Nayeem Siddique. 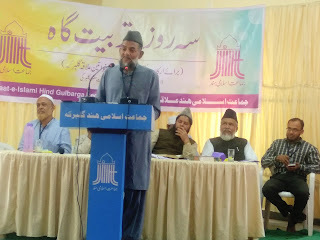 Jb Mujahis Pasha Quraishi Basavaklyan reviewed the booklet “Ameer & Mamoor” by Moulana Moudoodi. 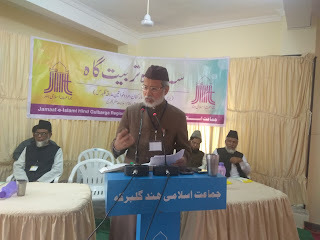 Mrs Sabiha Khanam Bidar reviewed “Karkunan e Tahreek ke Bahami Taluqat” by Khuram Murad. Mrs Nikhat Fatima Gulbarga reviewed “Dawat e Islami men Khawateen ka Hissa” by Moulana Moudoodi. 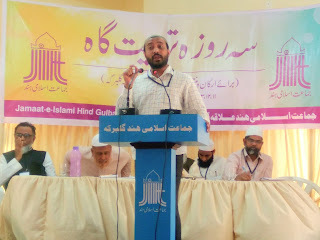 Jb Mulla Liyaqat Ahmed analyzed the presentation on Book review and gave valuable tips in reviewing a book. 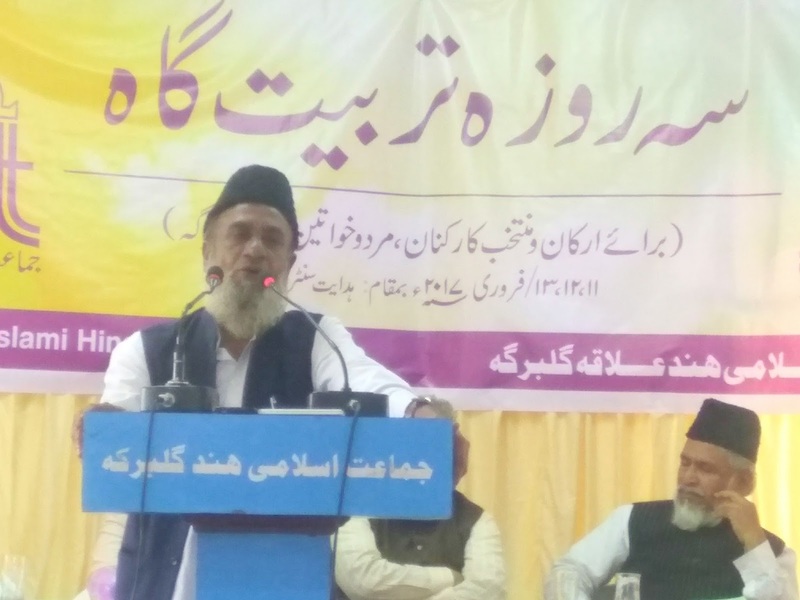 Moulvi Mohammed Faheemuddin Bidar addressed the gathering on “Challenges of Modern Era and Our Youth”. 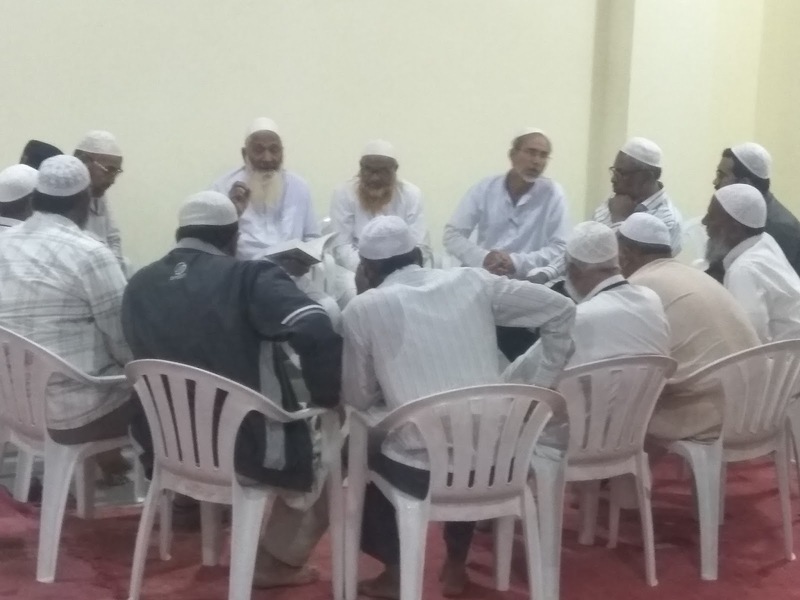 Sessions on Learning Quran with respect to reading, its pronunciation, its art and grammar were held both in the morning and evening and the supplications were memorized. Physical Exercise sessions were also held in the morning.